Q1. When did ARGs start to become popular in Japan? Q2. Roughly how many Japanese people take part in ARGs? Q3. Are ARGs adapted, or changed for play within Japan? If so, how? Q4. Do they play mainly international ARGs? 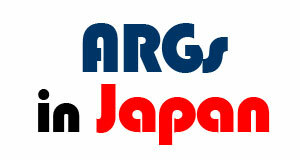 Or Japanese ARGs? Q5. Have the Anime and Manga production houses incorporated them in to the Japanese media mix? Q6. What differences, or similarities, if any, have you noticed between the Japanese media mix strategy and the Western transmedial production strategy? Q7. Is there anybody else you recommend that I also contact and ask further about this?